The skull of a possible human ancestor was reconstructed with a cranium found in 1972 and a lower jaw discovered more recently. The family tree of humanity as we know it - Homo sapiens - isn't as straightforward as "one species gave way to another." New evidence suggests that at least two different Homo species lived in Kenya about 2 million years ago. Scientists report in the journal Nature that they have linked recently discovered fossils with a controversial cranium found in 1972 in Kenya. They believe these new remnants belonged to the same species as the skull, which has been dubbed Homo rudolfensis. The study is led by prominent paleontologist Meave Leakey. The Homo rudolfensis skull, found near Lake Turkana, has a bigger brain case and a flatter face than specimens of Homo habilis, the other species of the Homo genus that appears to have lived around that time. Homo habilis is thought to have been a toolmaker because its hand bones were found next to stone tools. A temple in Tikal, an ancient Mayan city with significant waterways. When anthropologist Vernon Scarborough and colleagues began their investigation of Tikal, an ancient Mayan city in present-day Guatemala, they only intended to confirm previous accounts of the evolution of the city’s water systems. What they found, however, could have consequences for today’s societies dealing with water shortages. 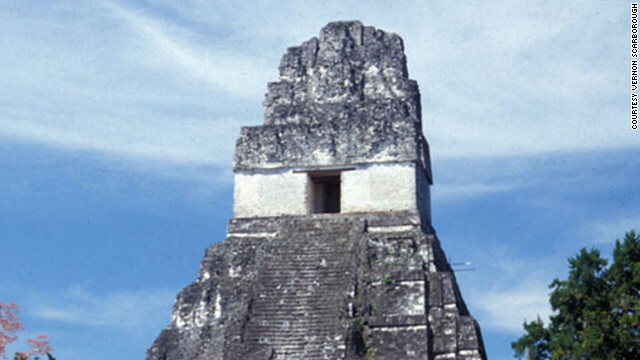 Taking advantage of the few months between 2009 and 2010 that the semi-tropical Tikal was dry, researchers had the opportunity to understand how preclassical and classical Mayans (spanning roughly 600 B.C.E. to 800 A.D.) managed to survive environmental and social conditions many haven’t, focusing on three reservoir systems: the Temple Reservoir, the Corriental Reservoir and the Palace Dam – the largest manmade hydraulic feat in the entire Mayan territory. When the Mayans initially colonized Tikal, Scarborough said, they had the luxury of springs as principal water sources. The springs were self-replenishing in large part due to the porous limestone composition of the landscape, which allowed water to get through the ground and into the spring. 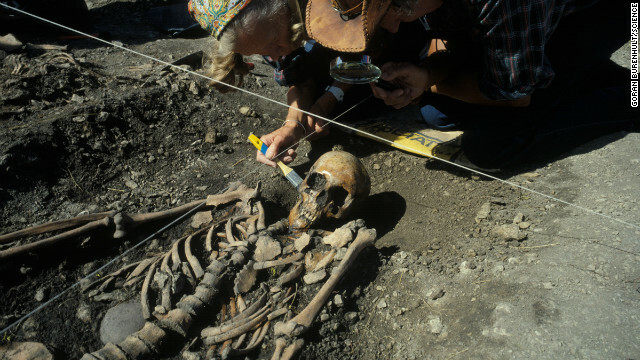 Researchers excavate skeletal remains from Europe's Stone Age. One of the outstanding mysteries of human history is how agriculture spread across Europe, replacing the hunter-gatherer lifestyle. Did farmers migrate, bringing a culture of plant and animal domestication that took over? 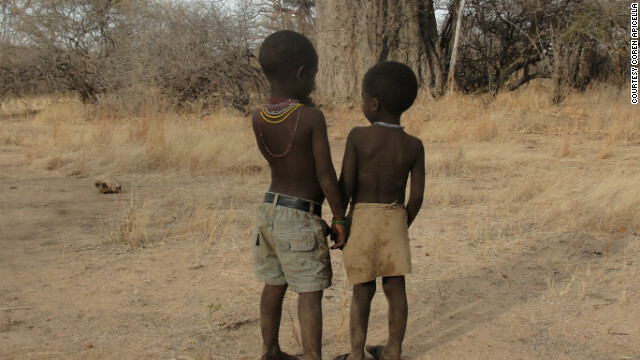 Or did local hunter-gatherer groups merely adopt ideas about those practices? A new study in the journal Science provides new insights. Researchers suggest that farmers and hunter-gatherers were genetically distinct groups that intermingled after the migration of the agriculturally savvy people. "These results are important because they are using ancient DNA, extracted from skeletal remains, rather than sampling living populations and making assumptions about the past," British archaeologist Colin Renfrew, who was not involved in the study, said in an e-mail. Scientists have uncovered remnants of an ancient fire, at least 1 million years old, at the Wonderwerk Cave in South Africa. You may be clueless about how to start a fire in the wilderness without matches or a lighter, but our ancestors may have figured it out long ago. Scientists have uncovered evidence that humans used fire at least 1 million years ago, potentially for cooking purposes. The findings are published in the journal Proceedings of the National Academy of Sciences. The discovery of a partial foot fossil in Ethiopia suggests that our human ancestors were possibly an occasional tree-climber and an occasional upright walker. In a search for additional clues on how and when our ancestors stopped climbing trees and started walking on two feet, scientists went to the central Afar region in Ethiopia. 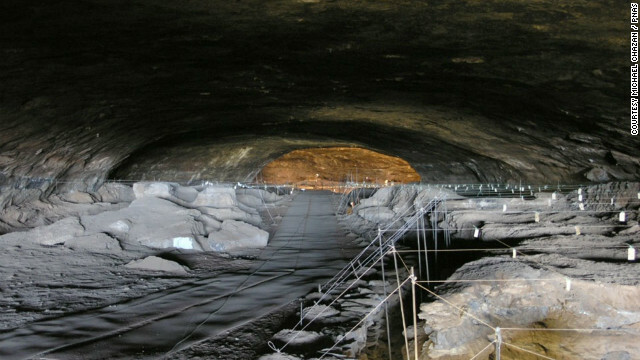 It’s home to some of the world's richest fossil and artifact sites, including the famous Hadar site. “Lucy,” the partial ape-human skeleton, was excavated at Hadar in 1974. 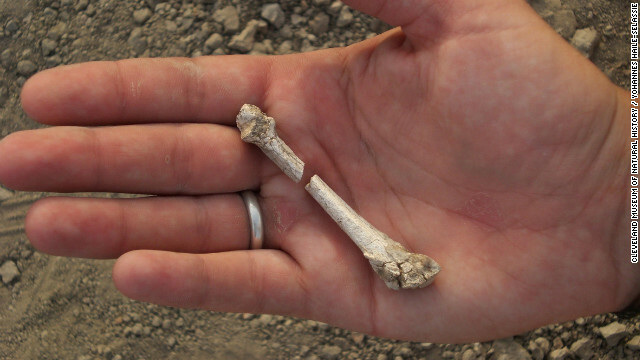 About 30 miles north of Hadar in 2009, scientists excavated a surprising set of foot bones at the Burtele palaeontological site. Scientists spent the next three years analyzing their findings before reaching a moment of eureka. Who are the "Red Deer Cave" people? “For the first time, we have good evidence that there is indeed another hominin lineage that lived at the same time as Lucy’s species,” study co-author Bruce Latimer said in a scientific news briefing. He is an anthropologist at Case Western Reserve University in Cleveland. 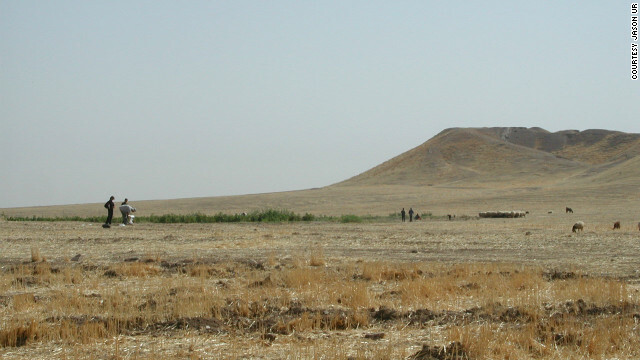 This mound at Tell Brak, northeastern Syria, is entirely artificial. It formed as a result of 6,000 years of human occupation. Archaeology is a delicate trade, requiring discipline, dedication and, most of all, patience. Groundbreaking discoveries can take years to come to fruition. Unless, of course, you manage to streamline the discovery process by teaching a computer to do your work for you. At Harvard University, anthropologist Jason Ur and his colleague Bjoern Menze have programmed a computer to recognize traces of long-term human activity from satellite images, especially in ranges of the electromagnetic spectrum that are invisible to the human eye. Their new study is published in the journal Proceedings of the National Academy of Sciences. 'Red Deer Cave' people, possibly a new human species? Newly identified partial skeletons of "mysterious humans" excavated at two caves in southwest China display an unique mix of primitive and modern anatomical features, scientists say. "Their skulls are anatomically unique. They look very different to all modern humans, whether alive today or in Africa 150,000 years ago," said evolutionary biologist Darren Curnoe, the lead author of the study, from the University of New South Wales in Australia. 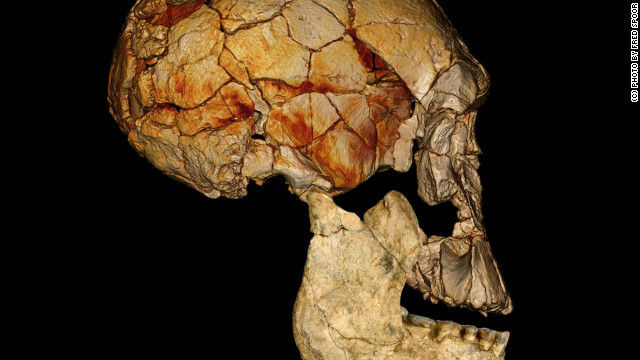 The fossils found at excavation sites in Longlin Cave, in Guangxi Province, and the Maludong Cave, in Yunnan Province, indicate that the stone-aged people had short, flat faces and lacked a modern chin. They had thick skull bones, a rounded brain case, prominent brow ridges and a moderate-size brain. The first complete gorilla genome has been mapped by scientists giving fresh insights into our own origins. 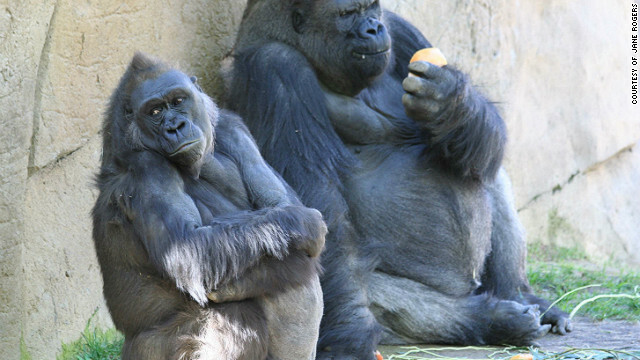 Gorilla are the last of the genus of living great apes (humans, chimpanzees, gorillas and orang-utans) to have their DNA decoded, offering new perspectives on their evolution and biology. "The gorilla genome is important because it sheds light on the time when our ancestors diverged from our closest evolutionary cousins around six to 10 million years ago," says Aylwyn Scally, postdoctoral fellow at the Wellcome Trust Sanger Institute, Cambridge and lead author of the report. 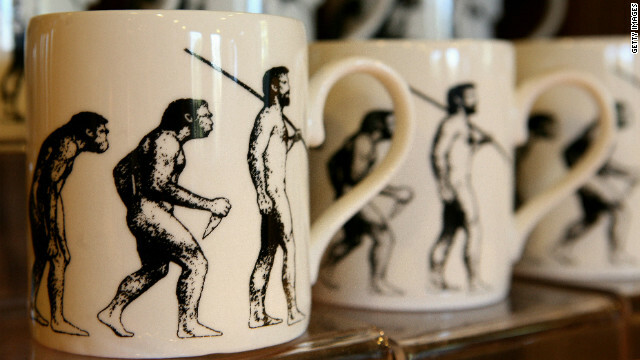 America’s Protestant pastors overwhelmingly reject the theory of evolution and are evenly split on whether the earth is 6,000 years old, according to a survey released Monday by the Southern Baptist Convention. When asked if “God used evolution to create people," 73% of pastors disagreed – 64% said they strongly disagreed – compared to 12% who said they agree. Asked whether the earth is approximately 6,000 years old, 46% agreed, compared to 43% who disagreed.